This show has been spectacular. Everything about it is so fantastic. It’s faithful to the comics, while not feeling like rehashed stories. The action is some of the most incredibly choreographed in any Superhero adaptation and the visuals are sublime. Episode 5 seems to be the end of introductions and the beginning of an ongoing narrative and it begins with a bang. Episode 5 is an episode that I’ll have a bit more trouble reviewing because there aren’t many new elements. This episode builds a lot of what is already there. Wilson and Vanessa have their second date which wasn’t as strong as the first but was still fantastic for Fisk’s character. Following the end of episode 4, I feel much more on edge when he is on screen without Vanessa. Fisk is a powerful villain and this episode helped build his motivation well while elaborating on his role in the story. Matt gets great moments too as Daredevil who appears more in this episode than the previous 2. He’s a very violent hero and Claire Temple’s relationship with him is adding great layers to the character. He’s very close to becoming what he’s fighting and that’s a very compelling element to his character. Matt has layers of rage within him and it’s actually quite scary when he lets the devil out. In some sense, I feel tenser when he’s confronting his enemies than Fisk. Without going into spoilers, there’s a shift in the mythology that’s brought to the forefront in this episode and I actually like it. The change makes a lot of sense and it opens doors for really fresh and interesting story ideas. I don’t know if everyone will be a fan of this alteration but I don’t mind it, I actually quite like it. 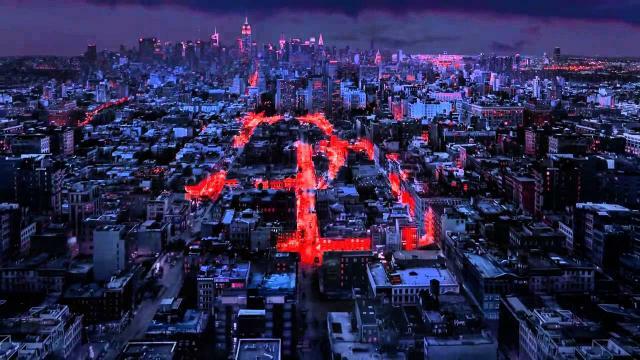 World on Fire was another great episode for Daredevil as it built on all the elements the first 4 introduced. This show is jam-packed with story and character but it doesn’t feel flooded. The cast is small enough to give layers to every character and the story has started moving along with great pace. Now, I’m just longing for Matt and Fisk to meet and build their rivalry. Daredevil is doing great so far and even my least favourite episode is better than some of the other shows like Arrow (S03) and Constantine have to offer.